The enclosure of common land is sometimes quoted as a major cause of rural depopulation, but although Sutton Coldfield was still a rural place in the 1820s, when the extensive commons were enclosed, the population continued to increase. Four Oaks Common, the 180-acre wedge of land between Walsall Road and Streetly Lane, was converted into farmland by its new owners, but even here a few new houses sprang up - thirteen households were recorded on Four Oaks Common in the 1851 census. Owners of newly enclosed land spent money on bringing it into cultivation, improving the value and productivity of the land enclosed, and the individuals who received allotments sought to obtain the maximum benefit for themselves. 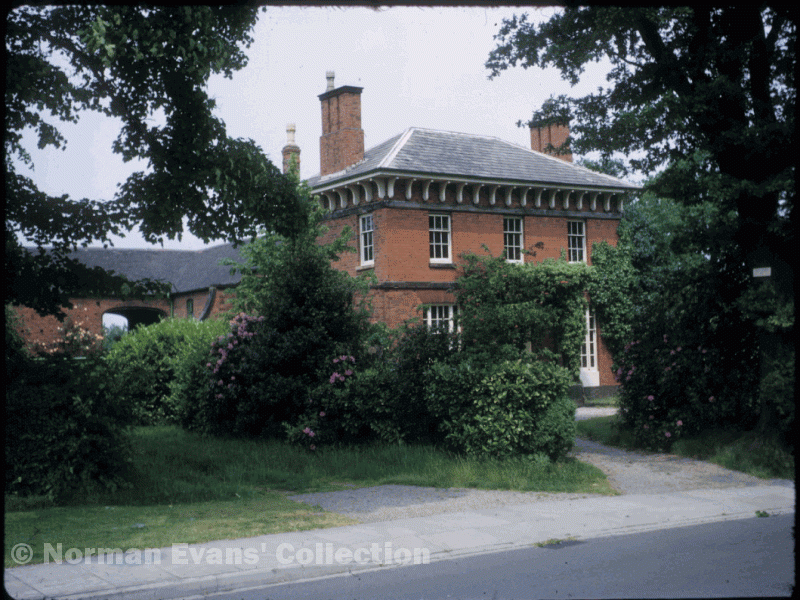 Thomas Edge achieved his aim of setting up as a gentleman farmer by purchasing a large tract of Four Oaks Common and building his mansion at "Edge Hill", declaring himself in the 1851 census as a "farmer of 100 acres". Other recipients of large parts of the common were the Rectors of Sutton and Hartopps of Four Oaks Hall, and a farmhouse was built in Streetly Lane (on the corner of Bennett Road) where Richard Genders, the tenant farmer, farmed their sixty-eight acres. Thomas Beeston was allotted a tiny plot of a quarter of an acre at the top of Four Oaks Common Road, too small for farming to be economic, so he built cottages to rent - other people with small plots either sold them or kept them as building plots. Altogether eleven houses were built for rent as labourer’s cottages, three pairs of cottages in Blackberry Lane and the rest at the top of Four Oaks Common Road. Five of the cottagers were farm workers, only one of them a Sutton native, the others coming from Erdington, Clifton in Warwickshire, Rosliston in Derbyshire and Castle Donnington in Leicestershire, no doubt attracted to Four Oaks by the work available on the new farms. There were two wheelwrights; William Derry from Longdon, Staffordshire - he was 31, his two daughters aged 7 and 4 were born at Longdon, the two-year old and the baby at Four Oaks; and Joseph Beck, aged 55, from Lichfield. The other tradesmen, a tailor and a shoemaker, were both Sutton natives. Two widows rented the remaining cottages. Hannah Boyle was a shopkeeper with one child; business must have been slow on the corner of Four Oaks Common Road and Walsall Road - the Crown public house was not yet built - although traffic between Sutton and Walsall was on the increase. Fanny Starkey was worse off, a single parent maintaining her six children and her 88-year-old grandfather by working as a charwoman, supplemented by benefits from the parish poor rates. Cottages in Four Oaks Common Road, some of the first to be built on Four Oaks Common. Using the information contained in the Census Enumerator's book for 1851 to find out more about the population of Four Oaks has the drawback that it is not possible to be absolutely certain exactly where all the people listed lived. The enumeration district which included Four Oaks also took in Hill Hook, Ley Hill and Mere Green, but excluded the west side of Four Oaks Road, and the study which follows takes the enumerator's description of the address of families as either "Four Oaks" or "Four Oaks Common" at face value. The book includes 24 households given as "Four Oaks" and 17 as "Four Oaks Common", more than the number of houses identified in the 1856 valuation, but this may be explained partly by including some houses north of Four Oaks Common Road, and partly by houses being occupied by more than one household. The enclosure of common land is sometimes quoted as a major cause of rural depopulation, but clearly at Four Oaks population had increased. Furthermore, the vast majority of the households were dependent on traditional employment, 56% being engaged in agriculture (mostly agricultural labourers), 15% in cottage industry such as wheelwright or tailor, 12% in service and 5% in building. There is little difference in the occupational pattern between Four Oaks and Four Oaks Common, except that the ratio of craftsmen on the common is slightly higher. This pattern is similar to the rest of the north of Sutton; in 1861 in Little Sutton 67% were engaged in agricultue, 14% in crafts, while at Hill the figures were 54% and 17%. Other differences probably derive from the pioneering element of going to live on the common - 50% of the household heads in Four Oaks were born in Sutton, whereas 71% on the common were born elsewhere in the Midlands; 47% of the household heads on the common were under 40 years old, against 25% at Four Oaks. The average number of children in the households on the common was 3.1, but 2.1 at Four Oaks, and of these, 33% of children on the common were under 5 years old, against 17% of the Four Oaks children. Single-parent families were not uncommon - eight of the heads of household were widows or widowers, often living in poverty. Fanny Starkey, who lived on the common, received help from the poor rate and worked as a charwoman, having 6 children aged between 3 and 13, most of them at school; her 88-year-old grandfather, John Starkey lived with them, stated to be "past work - supported by friends". There were not many elderly people. Ann Leland was the next oldest at 87, a widow living alone, described as an annuitant, but next on the list is Mary Leland, a 52-year old widow, presumably her daughter-in-law. Mary Leland's household included her daughter's family with 2 children, so four generations were together, the only case of this in this survey. Mary Leland was an owner-occupier according to the 1856 valuation, living in a house off Four Oaks Common Road. The other octogenarians were Thomas and Mary Pickerell, Thomas giving his occupation as agricultural labourer at the age of 85. 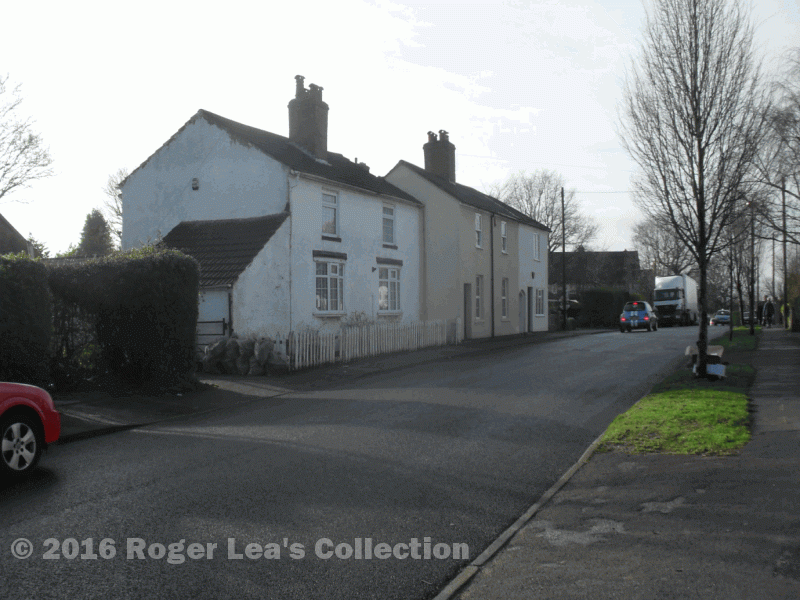 Thomas Pickerell is shown as the tenant of the cottage in the corner of Walsall Road and Streetly Lane on the 1811 survey, so no doubt witnessed all the changes at Four Oaks.